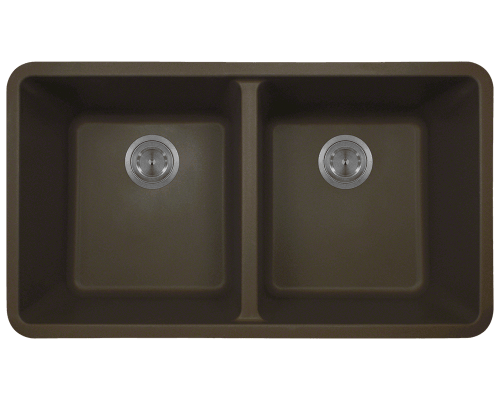 Composite sinks are referred to in many terms: quartz sinks, synthetic sinks, and composite granite or granite composite sinks. 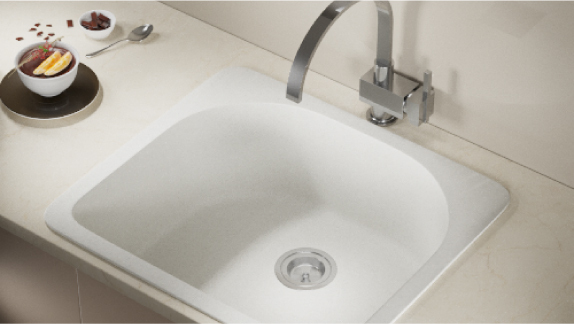 Regardless the name they’re given, these basins are a combination of stone and acrylic. The formulas vary from manufacturer to manufacturer. MR Direct has branded its line of such bowls as TruGranite. 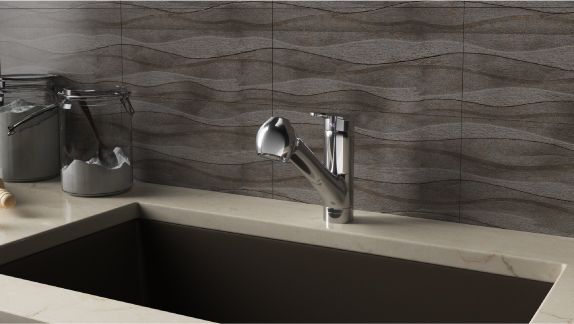 They are made with 80% crushed quartz and 20% acrylic; forming a premium, durable sink whose beauty is sure to demand attention. 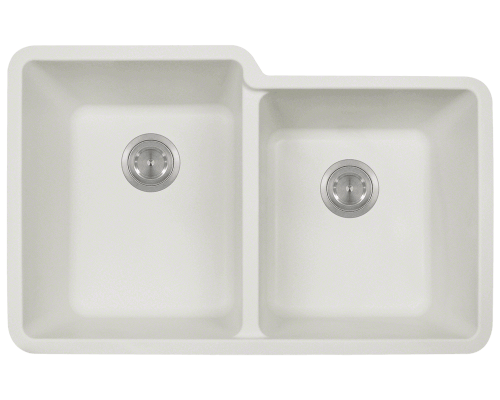 The MR Direct line includes both TruGranite undermount sinks and TruGranite topmount sinks. 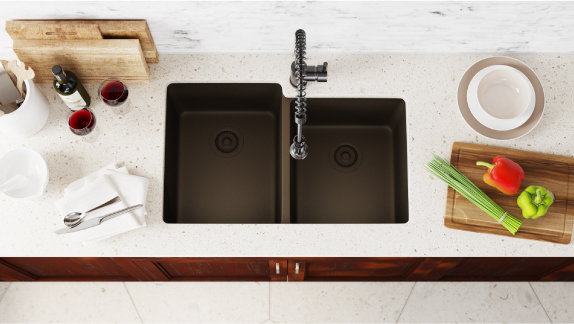 Either style may also be referred to as a composite utility sink because they are often used in rooms beyond the kitchen. 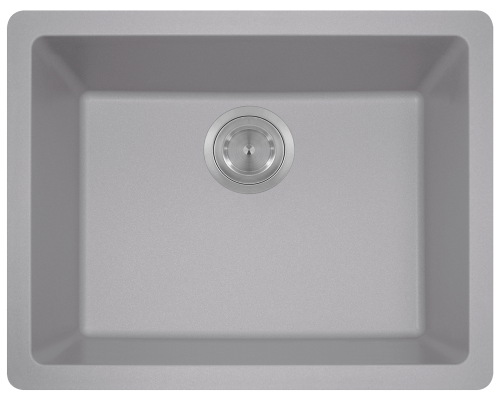 Our undermount composite sinks are designed to sit below the surface of the countertop with a negative, positive, or flush reveal. 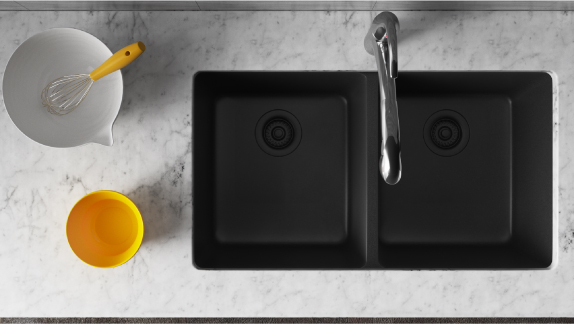 Our topmount composite sinks are suspended by their rims, making them easy to install. Quartz and acrylic combine to give our composite granite kitchen sinks their extreme durability. 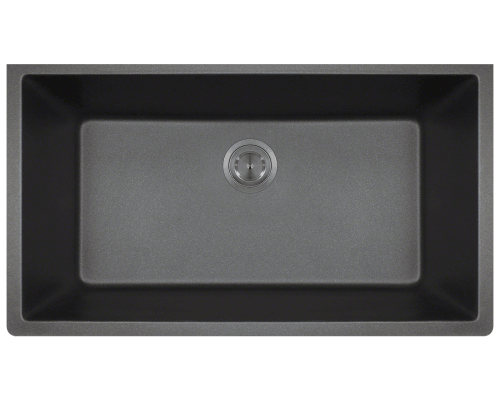 These basins can withstand temperatures up to 550° and are extremely quiet during use. There are seven formats offered, each in a choice of six colors: black, beige, slate, mocha, silver and white.